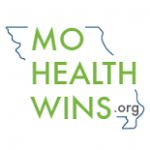 Missouri Healthcare Workforce Innovation Networks (MoHealthWINs) received a $19,982,296 Round One TAACCCT award to develop innovative and accelerated programs designed to meet the State’s critical demand for healthcare workers. Grant participants expressed a high degree of satisfaction with program offerings and college support services. In addition, participants reported grant programs/services helped to improve their abilities and self-efficacy with regard to key workplace skills. Through the development and implementation of short-term, career programs, MHW grant participants were more likely than non-grant students to complete a program award. Individual campus culture/climate certainly impacted the extent to which MHW innovations and experimentation were supported. For those campuses who embraced the experimental nature of MHW, the grant has laid a solid foundation for further innovations associated with the following areas: development and redesign of programs using career pathways; re-design of developmental education; adoption of intrusive student and instructional support strategies; and expanded use of employer engagement to support program creation and continuous improvement. MoHealthWINS Recruiting and Retention 101 from baselinemedia on Vimeo.